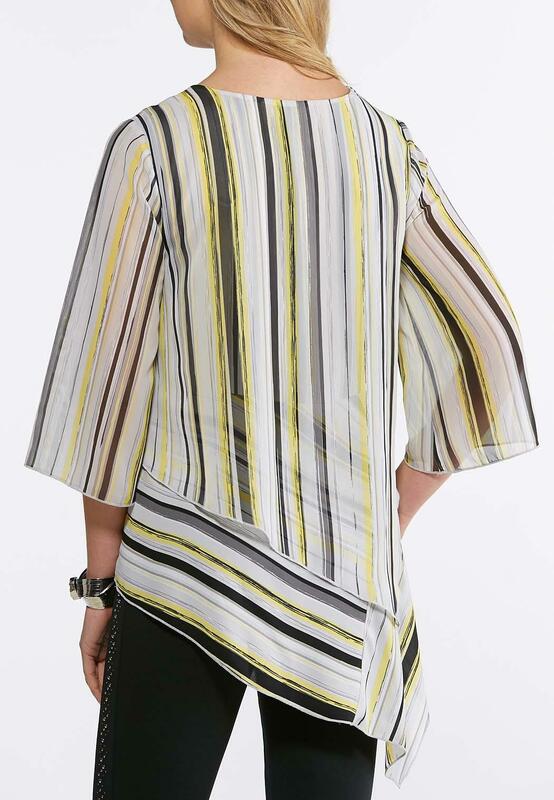 Go for the gold when it comes to trending style with this breezy woven top, featuring a layered asymmetrical hem, scoop neckline and striking color palette. Love the flow and length. Covered hops and buttock area nicely. Paired with leather like pants. Very nice! Love Love this top. My favorite top in my collection. I wish they had more colors in it I would buy them all. 95 % of my tops comes from Catos. If anyone reads this review please tell them to make more in different colors.